Living in London is Tough- But We Have Answers! For everybody teetering on the edge of the poverty line- and for many of those who aren’t- London can be one of the toughest places in the world to live. One of the top 20 most expensive cities in the world, those on the lower end of the salary scale can find most of their money taken up with rent, and what’s left being eaten up by food, expenses, and what little luxuries they allow themselves. However, for those looking to save the pennies where they can, here are the best 10 tips for living in London on a budget. 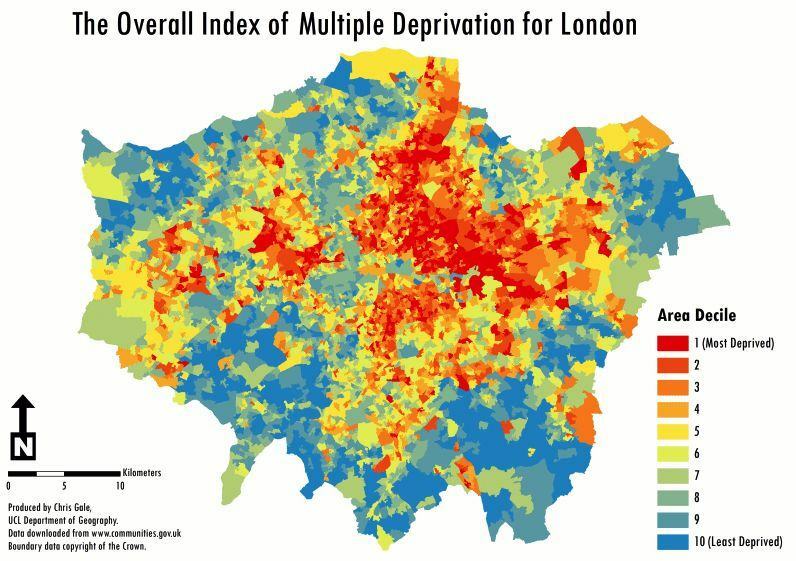 If you have just moved to London you have probably realised that the first problem that anyone encounters when living in London is, well- the living part. Houses in London are the most expensive in the country, and even living outside the city carries huge commuting charges. Prices: Be aware of average prices for rooms- the average for a single room in London is £400-£500, whereas a double is £500-£900! Finding the right area: It’s good to do a lot of research on London and its boroughs, get an idea of the cooler and more expensive areas of London and stay away from them- find out areas with an average house price that you could afford, and stick to those areas. Where to look: Checking housing websites and local newspapers is the ideal starting point. Dealing with the landlord: When you find one that takes your fancy it’s always better to see the landlord directly, by the way, going around any agents who are just after more of your money- and always try and negotiate, whether it’s getting him to lower the price if you do your own gardening, or seeing if you can get two people in one room for a lower price than two. Negotiations: Don’t get ripped off by overpriced ‘cool’ areas, and always remember to negotiate if you can double up in a single. If you’re looking to rent a room, 2 of the best housing sites are Spareroom.co.uk and Easyroommate and (you can find more accommodation sites through our Accommodation category). For extra caution, familiarise yourself with TDP– that’s Tenancy Deposit Protection. This means that your landlord has to put your deposit into the scheme, which safeguards it until it’s returned or you void it- it also means he can’t just skip town as soon as he’s got your deposit, leaving you even more broke than you had been! Deposit protection is a must, so learn all about it before handing any money over. Paying the deposit: If you’re new in town and you want to transfer money to your new UK bank account to pay the deposit and the first month’s rent you should consider using Transferwise of HiFX which are the best ways to transfer money overseas as you avoid paying the hidden bank fees. More tips: Find out some tips for dealing with landlords and deposits and for more great advice on room hunting, see our room search tips and advice. Caution is the name of the game- check the house first, talk to the landlord, meet any flatmates you’re going to have- or if you’re going to have to find some, make sure they’re suitable by selecting them from flatmate-finding websites like Roommatesuk.com. If you need a bit of help you can check out 5 great tips for finding the ideal flatmate. For those looking to rent, there are a number of key tips you need to know. While sites like Gumtree and Craigslist can give you great deals on good housing, beware scams and frauds– before any money has been exchanged, you need to see the flat and meet the landlord, making sure it’s all above board. Obviously, it’s all about finding the right location too- while Shoreditch and Mayfair might be a bit out of reach, looking for areas just next door to the trendier ones can give you the same style for a lot less cost. At the moment, some of the absolute best places to look are Camberwell (on average, £550 a month), Elephant and Castle (at roughly £600-650 a month, and only ten minutes from Central London) and Walthamstow (at only £450 a month average). While looking round at properties, talk to people who live around the area, or local police officers, and take a look at the general area – it’s important to remember that many of the cheaper areas can also be pretty run-down, with a high rate of crime– do the research first, checking up crime rates and word-of-mouth about the place. There’s no point celebrating how cheap your house is if it gets robbed every month! Where to live in London Wizard: If you absolutely can’t decide where to live- and there are so many cool places in London, who could?- then there’s a great online application that can help you choose, based on your personality. Avoid London homes near Tube stations: Never look next to major tube routes, but instead around overground and bus services– it costs a lot more. Think outside the box: Some of the cheapest housing in London isn’t housing at all, but moored boats and caravans you can buy to store your stuff and get a cheap night’s sleep. For those searching for a slightly more temporary (and cheaper) solution, house sitting, looking after a historic property for someone else, or just working for someone in exchange for a room, are all completely free, and though they’re a little unstable, allow you to find work, enjoy the sights of London, and earn money for a more stable future, all without costing a penny. Fore more options check out our guide to finding free accommodation in London. Can’t afford that big deposit? Buying a newly built home, from certain participating companies, can get you a house for a deposit of only 5%– with the government topping you up by 20% in the form of a loan. Contact your local HomeBuy agent for more details, and to help you apply for the scheme. Remember, of course, that this means that in a few years not only will you have to pay back the mortgage of the house but also the 20% owed to the government- so if you’re absolutely certain you’ll come into some money further down the line, this might be the option for you. Be aware, though, that having a 5% deposit means you pay a premium– you’ll get the best deals for deposits above 15%, so if you can scrape that extra cash together, it might help you. Mortgage: To work out what mortgage is best for you, and when you’ll have the money for a good deposit, check out Moneysavingexpert’s Mortgage Calculator. Shared Ownership: If you’re earning less than £60,000 a year, you can always apply for shared ownership- apply for this with your HomeBuy agent too- which means that you can buy a small percentage of your house for a much smaller amount of money than you’d normally buy, with the option to buy more of the house back as time goes on. This is perfect for many young people just starting out- rather than wasting your money renting, you can buy onto the property ladder quickly, and be more secure that you own part of a house, at least! Finally, remember the little add-ons that come with owning a house- check to see if bills are included in the price, otherwise there’ll be a lot of paperwork to start filling in. Council Tax: Beyond that, you have Council Tax, which varies from area to area (the cheapest places being Wandsworth, Westminster, and Newham). Find out how much it is where you want to live, and the cheapest tax by area, through the government’s website. Lender’s arrangement fee: If you’re borrowing, you’ll probably have to pay a lender’s arrangement fee, which is typically £1000, and sometimes non-refundable. Legal Fees: Any legal fees will cost between £500 and £800, and if you’re paying for a survey, it can cost anywhere between £300 and £700. Work Out All the Costs: If you’re moving your goods by removal company or van, it’ll cost a few hundred more. Never rush in- before you’ve even thought of putting money down on a house, work out all the costs you’ve got to add to it, and get saving. Finding ways to travel cheaply in London can be tough. Owning a car is not only hugely expensive (according to the Daily Mail, the U.K. is the most expensive place on Earth to own a car, at around £3,500 a year) but hugely stressful. For those looking to live in London on a budget, this isn’t a great option. 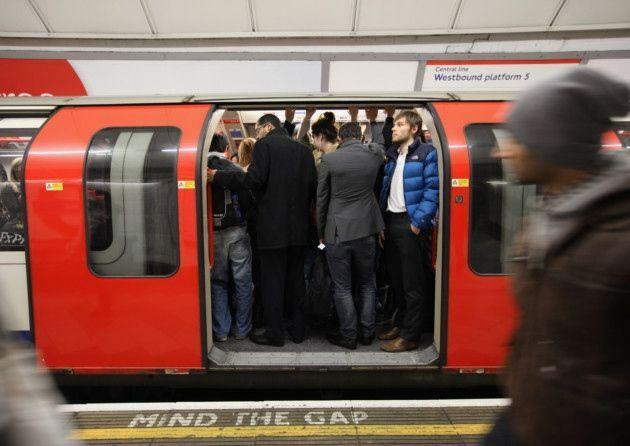 London Tube: The tube is obviously a great, fast way to travel, but it too can be pricey. Travel Card: Getting a London travel card is vital, but which one to get? 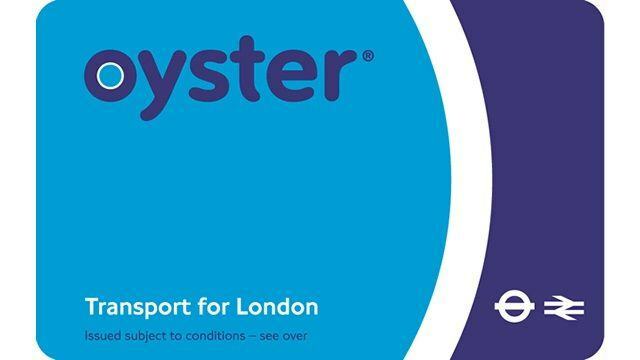 Well, it’s generally agreed that a pay-as-you-go Oyster card is best for visitors to the capital, or for those that don’t travel around that much; for those who do (at least 3 times a day, five days a week) a weekly, monthly or annual travelcard is better and cheaper. Annual Travel Card: An annual pass will also give you access to a Gold Card discount- 1/3 off all standard singles and return rail and tube tickets! Save money with Off-Peak Tickets: Try to travel off-peak times as much as possible, and remember that an Oyster card is almost always cheaper than paying cash, at least if you live in London and travel regularly- and since daily zone 1-2 and 1-4 travel cards have been discontinued, using the daily cap on your Oyster is the best bet for getting round those zones too. Pay with your Contactless card: If you travel a lot then paying with a contactless card might make more sense as you can save money. For those that can’t even afford this, biking in London is free, clean, and makes you more healthy– a perfect and simple answer to the cost, pace and unhealthiness of London life. For those of you looking to save money, this is a no-brainer. Renting a bike: For those that don’t have the room to store them Santander Cycles (ex Boris Bikes) might be the perfect solution. Dotted in hundreds of locations around the city, the bikes require £2 to use for 24 hours- though riding for more than 30 minutes will cost £1 extra, over 1 hour an extra £4, and so on. To prevent extra charges, try cycling for no more than half an hour at a time. That way, you’ll be able to cycle anywhere in London for an entire day, for only £2! For those who use this regularly, you can get yearly passes which will save you some money as well as meaning you never need to use your card again- you’ll get a handy key to use whenever you need a bike, getting you absolutely anywhere in London quickly and cheaply. Buying a new bike for cheap: For those neither wanting to rent or own a second-hand bike, the Cycle To Work scheme allows you to buy a new bike, tax free, through your employer if they’ve signed up to the scheme- without tax you can save well over 25% on a new bike, which comes out of your wages every week or month. This can be a great way to ensure you’re getting a good quality, new bike, still cheaper than you could any other way. 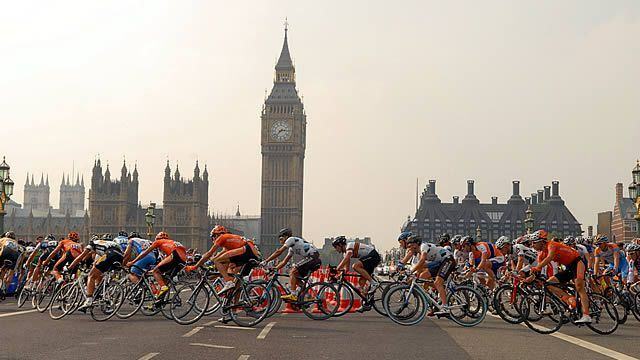 It is, however, vital to be aware of the dangers that cyclists can encounter in London, one of the busiest and most crowded cities in the world: in 2013 alone, 14 cyclists lost their lives in accidents, and many more were injured. The streets of London can be a bustling crazy place, with many bad drivers and unexpected dangers– people will often turn left or right without indicating, and open car doors without warning. Bus and lorry drivers often can’t see cyclists until the last minute, so it’s vital that you wear protective gear and always, always be on the lookout for bad drivers or accidents waiting to happen. When cycling in London, make sure that you know how to cycle safely and spot potential dangers, know traffic laws and what it’s like to be a vehicle driver- that way you’ll know what they might do, or how to avoid their mistakes- and know when to get off your bike and walk when a situation just looks too dangerous. Always wear hi-visibility clothing, lights on your bike and a helmet, and always be vigilant- never stop being wary of dangers. Do all this, and you should be fine. Finally, for those wanting even more money-saving tips on cycling in London in the long-run, there are options to take a free training course to develop your confidence from the people at Cycle Confident (though this is only available for certain boroughs), as well as a free cycle maintenance workshop, to learn how to keep your new or second-hand bike in top shape. While the bus can be slow, boring and a little expensive, taking it in conjunction with an Oyster card can mean big savings- considering the daily cap on how much you can spend is £4.40, ride at least four times in a day and get the rest completely free! Moreover, it is also convenient for single trips as a single bus fare costs £1.50. For those that need to get from place to place regularly, but don’t have a bike or car and hate the tube (as if you COULD), the bus might just be that perfect alternative. Last but not least, car sharing in London can be a handy and economical way to get round, if you’re not in any particular rush- sites like Liftshare, Bla Bla Car and Carpooling.co.uk connect drivers with those needing a lift- be it on big trips to the airport or across the city, to simply going to the shop to get your weekly groceries. Simply contact any driver that is going to your destination, and be sure to trust the driver if you’re going to pay by Paypal or online. Otherwise, cash after the car share is the best way to do it. Not only is this cheap- y0u pay for your share of the fuel involved, and nothing more- but it helps the environment, give you chances to meet new people, and can get you places much quicker than cycling or public transport- with just a bit of preparation needed. For short trips inside London you can try DriveNow which is like Boris bikes for cars, offering cool and affordable BMW and MINI cars to rent on a pay as you go basis. For those looking to travel cheaply across the U.K, there are a couple of ways to get across the country for almost nothing. Coaches are your best bet, for those with the time and the patience- though they can take a while to get there, you can get right across the country for under a tenner. National Express gives quality service for a tiny price: but for those looking for the absolute cheapest there is, Megabus is the company for you. But maybe you’re not just looking to travel around London or the U.K? For those looking to broaden their horizons even further, we have a number of great tips for travelling around the world on the cheap. The first thing to do is educate yourself- learning the language for free through Duolingo and Livemocha, or through tandem language learning, is a good way to start. Doing some research on the country or place you’re visiting is vital, too, to prevent any nasty shocks when you get there- looking at the accounts of people that’ve been there first-hand is vital for learning tips and tricks to staying there, or preparing yourself for the customs and ways of the place you’re visiting. The travel itself can also be super cheap- there are dozens of sites which automatically find the cheapest tickets for planes (such as Skyscanner, Cheapoair or Cheapflights) and trains and give you the best prices out there: otherwise, ferries may just let you ride in exchange for work, or- since some only charge by car, not passenger- you might just get a ride for free, if you’re lucky. Finally there is also a way for getting cheaper air tickets by changing the point of sale! For more money saving ideas check out our Top 50 Budget Travelling Tips Part 1 and Part 2. Finally, for anyone confused by so many options, there exist a number of free transport apps to help you out finding the way around London. 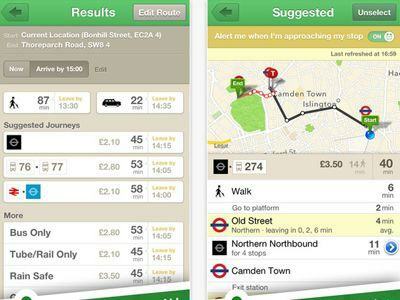 Citymapper can show you every way of getting to a certain place- be it walking, cycling, the tube. Busmapper can give you the routes and times of every bus you’ll need, and Tube Map shows you the routes of every underground line in London, as well as being able to show you the best route to certain places. If you are more like a taxi person then Kabbee and Minicabit are all you need to get a taxi in London quickly and efficiently. Whichever transport you need, there’s an app that can help you out. Eating, unlike some of the other items on this list, can’t be avoided. The average weekly spend by families is around £45, but this can be cut down to around £12 with careful planning- reducing your meat, and eating a lot of starchy food and fruit and vegetables to fill you up and keep you healthy, can cut down the food budget by a huge amount. Markets like Borough Market, the Real Food Market on the South Bank, or Kerb at King’s Cross can be surprisingly expensive, so it’s best to check out your local street markets- there’s almost certainly one fairly nearby, and these can offer some of the cheapest prices you’ll find in the ever-expensive London. Cheap Markets: Whitechapel Market, Lewisham Market and Yasar Halim Market all offer great choice for a smaller price than you’d find elsewhere. These are a fantastic place to buy cheap ingredients which are normally of better quality than the supermarkets! Go and find your local street market and compare its prices with the ones from the locel supermarket. Shopping Tips: Have a look at some tips for shopping at at your local market. For supermarket shoppers out there, there are some great tips which can help you too. Not eating out or buying packet food, but instead getting cheap food from Tesco (a favourite among scrimpers), Lidl, Aldi and (the latest addition) easyjet’s discount supermarket, easyFoodstore and cooking at home can save thousands a year, and make you healthier doing it- and always remember to eat seasonally, for the cheapest ingredients! Price comparison: It’s a good idea to check prices in all the supermarkets around you- depending on the poshness of the area, the prices might skyrocket in local supermarkets. Never Shop on an Empty Stomach: You’ll be much more likely to buy things you don’t need- to help yourself stay on track, make a shopping list, and stick to it! Be aware of traps and tricks: Ignore the sweet aisle or be prepared to spend a lot every time you go in- remember that shopping list- and always scan around when looking at any products- often, the cheapest or unbranded stuff is hidden below eye level, so be aware. Deals: For those wanting more tips, make sure that any deals you’re getting are actually beneficial, and won’t just take your money for things you’re never going to eat. Reduced to Clear: Always have a look at the reduced to clear section! You may find some great bargains. Buying Online: Check out MySupermarket.com which helps you find the cheapest places to buy what you want, and even check if those ‘bargains’ in store were really that expensive, to begin with, or if you’re being conned. 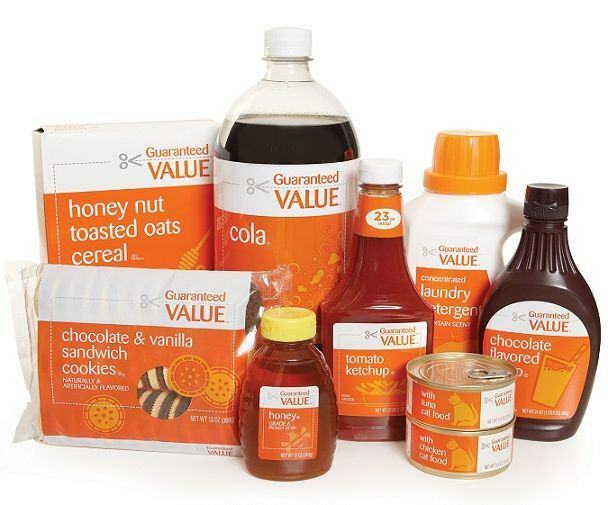 Speaking of cons, it’s best to look around a little before settling on any one brand or style of product- studies have shown that often, the cheapest or most basic value products in a range- e.g.- value baked beans- taste just as good while being only a fraction of the cost of branded items, like Heinz. While some may turn their nose up at this kind of value shopping, you just never know what you’ll discover- those 32p noodles may be as good as or better than ones that are six times that price! Finding cheaper items you like can help save hundreds a year, without losing any of your tasty treats. For those socialites who can’t live without going out for food, waiting for discount or deal nights is essential, and always checking the price before you pay (and not spending £30 on 3 Southern Comforts like, erm, someone I know) is a must. Discount Cards: Getting a ‘Taste Card‘ (or trying its 30-day free trial)- either 50% off or buy 2 for the price of 1, across thousands of London restaurants- can also be a great help, for those who can’t stop eating out. Book Online: It’s always good to book a meal online, which means you can save a bit as opposed to turning up on the day- sites like Toptable allow you to earn points for booking through their site. Earn enough points, and you can get a free meal at a selected restaurant! On top of this, their site offers restaurant promotions of up to 50% or set menus at a discount. Voucher Sites: Voucher sites like Groupon, Livingsocial and Wowcher.co.uk offer food deals at hugely discounted price, even at great restaurants- simply go onto their site, find the restaurant in London you want, and buy tickets for a low price! Lastminute even have an option to only select restaurants with offers on, so you can instantly find that great deal for you. Check the Restaurant’s Own Website: If the restaurant you want isn’t on any of these sites, it’s always good to check the restaurant’s own website- often they’ll have special offers on there, or coupons that can be printed out and presented in store for an extra bonus. Becoming a mystery diner is another good way to find food cheap- register to the Mystery Dining Company or Market Force and get assignments to try out restaurants around London- not only will you be compensated for the money spent on the meal, but get a little extra for your troubles. Free food with a paycheque- probably one of the best ways to eat in London. You can also become a mystery shopper to earn a bit of extra cash while doing your shopping. 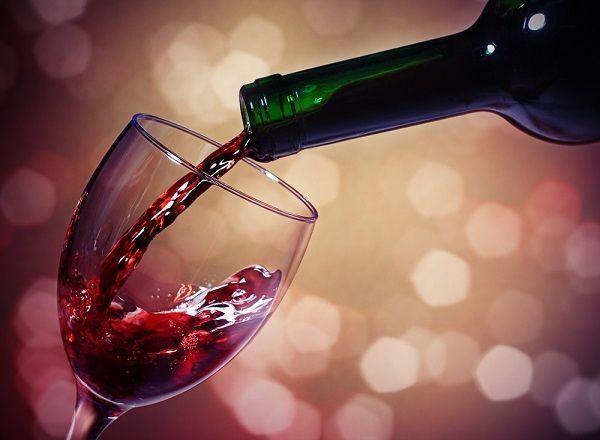 For thirsty Londoners, you can download the Drinki app to receive a cocktail every day but it’s also a help to remember that bars, pubs and restaurants are forced by law to provide tap water, so there’s always a free drink available, and some restaurants even allow bringing your own wine– perfect for sourcing that cheap bottle for your night out. *** Use the promo code BILDN when registering to receive a Drinki token (free drink on us)! For those times when your friends aren’t around, and you don’t want to spend the £63.90 average that some spend on entertainment per week, there are great free ways to trim your spendings and still have fun. London Parks: The parks of London are beautiful and full of wildlife, and hours can be spent wandering around them. London Zoo: If you love animals you don’t need to spend a fortune to visit the London zoo as there are other nice places where you can find animals with free entry. Walking Tours: Moreover, there are dozens of free walking tours, taking visitors around Royal London, the East End, and the City, from companies such as Alternative London, Free Tours by Foot, and Undiscovered London. Not only can you get a bit of exercise during the walk, but can see parts of London that you might not yet have experienced, and learn some a little bit about the history of London while you’re at it! Lunch Time Activities: Check out 5 great free lunch time break activities that will help you maintain a balance between your work life and your lunch break without breaking the bank. For those that like a bit more culture there are free film screenings all round London, waiting to be found. If that’s not enough for you, there are dozens of incredibly cheap cinemas in London, such as the Prince Charles Cinema, off Leicester Square- where, for a £10 annual fee, you can see all their films for just £4-6! Other places, such as the Coronet Cinema, the Barbican and Richmix in Tower Hamlet, offer a huge range of films on certain days, for anywhere between £4-7! Film Previews: If you’re not fussy when you see a film, Showfilmfirst only requires a free account to be made before they start matching you up to free film screenings around London, based on your own preferences! Membership Cards: Cineworld also have a couple of great offers- there’s their Unlimited Card, which is £16.40 a month for as many screenings as you like- so go even three times a month and you’re saving huge amounts- and which gives you a whole month of totally free screenings if you recommend a friend! There’s also their Take 2 offer, for those a little less film-mad, which can give you two tickets, two drinks and a popcorn for only £11! Free Film Festivals: Finally, there are plenty of free film festivals happening in London every year. 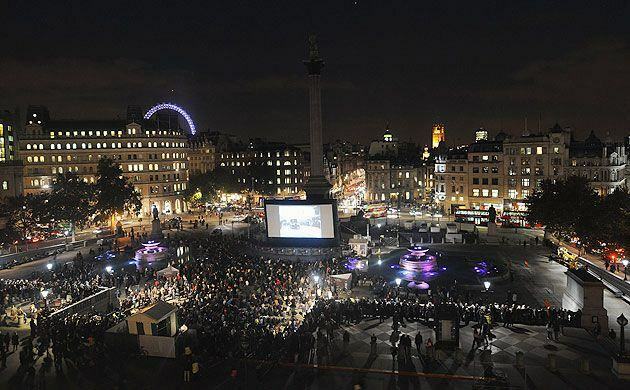 For example there’s the More London Free Festival every year, which holds free open-air cinema viewings in the Scoop at More London, so check them out, find out when a great film is showing and head over! Be sure to be early, though, as seats fill up fast. Find more tips for cheap cinema tickets. For culture lovers out there, cheap theatre in London might seem completely impossible- but it doesn’t have to be! If you’re 16-25, the Barbican’s FreeB scheme allows you to sign up and receive discounts and free tickets to all sorts of concerts and plays that go on, so there’s nothing to lose! The Young Vic, English National Opera and the Donmar Warehouse give out tickets to certain age groups (and at certain times of the week for just £10-12), and the National Theatre not only often gives out £12 tickets to plays showing the same day (so make sure to queue early for those!) but for those between 14 and 30, their ‘Entry Pass’ can give you £5 tickets to any production! Finally, for you Shakespeare-lovers out there, the Globe offers 700 standing tickets to every production, for only £5! There are a number of other cheap theatres around London that give out great cheap tickets, like Hampstead Theatre, Arcola Theatre, and the Soho Theatre. Discounted Theatre Tickets: For students, disabled people and the over-60, many theatres sometimes give any unsold tickets away for a standby 70% discount rate for those with valid ID- cash only, though, so have it to hand. While the number of theatres that do this regularly hasn’t been verified, it can’t hurt to try- even the top theatres can fill their front row with standby ticket holders, so get there early and ask. Buy in Bulk: It’s also a good option to try to buy in bulk for a certain play, if you’re going with lots of friends- you can get up to a 50% discount doing this! Preview Shows: Try and buy tickets for preview shows in the first two weeks of a run, which can save a lot of pennies- the Lyric Hammersmith often sells tickets for £9, so you’ll get some great discounts and lose absolutely nothing. Become a friend of the theatre: Memberships to a theatre can save you tons of money, getting free tickets, discounts, and special exclusive offers through the mail or by email. You’ll also be supporting the arts, and keeping those shows that you want to see running! Following on Social Media: Following your favourite theatres on Twitter can nab you some fantastic deals when they come up, as will any promotional codes you can spot in the Metro or the Theatre Monkey website- so always be on the lookout! Get Free Theatre Tickets: Finally find out how to get free theatre tickets here. Music fan? For those aching to see their favourite singers for free, there are chances to watch the best UK music festivals without paying a penny! You’ll have to sign up to an organisation like Festival Volunteer, Festaff or Hotbox Events, or through a charity like Oxfam, and give a deposit of £200– but don’t worry, you’ll get this back long as you’re good! 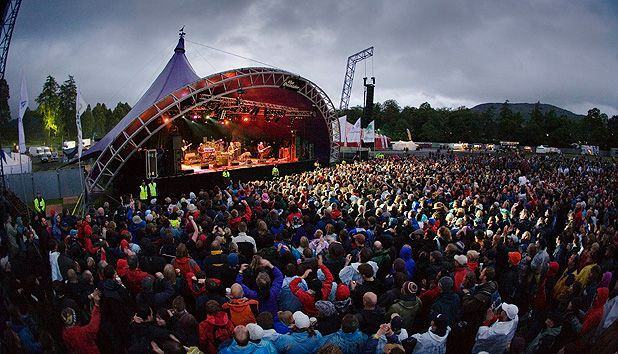 After that, just wait for an event where you’re needed, and for a little bit of work- like picking up litter, stewarding and being bar staff- you can get to see all the performing bands for free! Not only do you get a free ticket to the show, but free meals, a couple of drinks and a place to stay for those nights- so it’s a great way to get the most out of a couple of Summer days, all for free! There are even free festivals and exhibitions happening all around London, for those willing to wait! Watch Free TV Whenever You Want! A TV licence costs £145.50, and for those that don’t want to spend that inordinate amount of money on something they’ll rarely use (there’s never anything good on, come on), it’s a great idea instead to wait a little while till it comes onto iPlayer, ITV Player or 4oD, saving yourself over £100 and still getting the same quality you otherwise would. 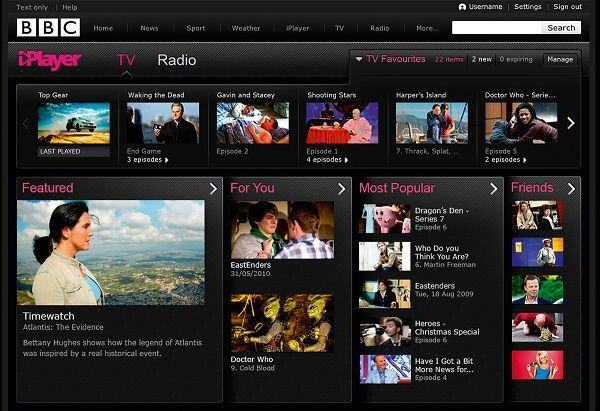 Check out how to avoid paying for a TV licence. In addition, you can see almost any program aired in the last week! Just remember that you can only watch old programs, never live- watching a TV without a licence, or streaming it live to your laptop, might just net you a nasty fine of up to £1000! Not something you want when trying to catch up on Coronation Street. Or you could just read a book, you philistines. Join Your Local Library: Speaking of, want to read almost any book for free? Well you can! Joining your local library means that you’re free to rent any book you can find, as well as incredibly cheap music and DVDs- for those living without internet in this day and age, that can be a godsend. You can register online for a temporary two-month membership, but then just going down to your library with a proof of address will get you a permanent registration. For those looking to spend as little on entertainment as possible, this is an almost unlimited resource for new distractions- and you might learn something while you’re at it! For a more unusual night out, you can apply to be a TV show audience member for free– either go on the BBC, ITV or Channel 4 websites, and see what show you can get there, or apply to one of the sites dedicated to putting members of the public into television audiences- whether it’s Applause Store, Lost in TV, or SRO. Just register, indicate which shows you’re interested in, and wait! While these are all completely free, there’s no guarantee you’ll get a place, so try for a couple and hope you get lucky! Gym memberships are expensive, and let’s be fair here- paying £40 or £50 a month is only worth it when you’re going three or four times a week. One of the best gyms in London to check out is perhaps one of the most obvious- ‘The Gym’ company have gyms across London, which though ranging in price are never more than £20 per month, and has no annual contract- leave whenever you like! Free Gym Trials: Many gyms offer a free trial, or pay as you go deals- which may be more expensive per session than a contract, but when you’re only there for three days a month, will save you a lot in the long run. No Frills Gyms: There are also an increasing number of ‘no frills gyms’, from £10 a month, which give you the gym experience, and nothing else. Start Jogging: For those whose schedules are too busy, or prefer not to be surrounded by sweaty men while they exercise, taking a jog through a park is absolutely free, as is riding a bike, and can help you stay in shape- especially in combination with a budget diet. Quitting Drinking or Smoking: It can save you £2000 a year, if you smoke 20 a day and it can drastically improve your health, and save a ton of money too. Free Sport Activities: There are a number of companies offering free exercise and sport around the city. For a totally free gym experience, The Great Outdoors Gym Company has free outdoor gym equipment located all around London, ready and set up to use- simply go on their website to find them, and start working out whenever you like! You can also try Our Parks which is a free outdoor fitness programme offering regular exercise classes in 80 parks around London. Tennis For Free have free courts around the company, while Nike Training Club is completely free for women to sign up and work out with. Finally there are plenty of free yoga classes as well as free dance classes across London. What helps a money situation most is gaining some- and there are thousands of part-time or full-time jobs waiting for you to find them, all round the city. Just visit our super job board, and use it as you please to find your dream job. Don’t forget to sign up to our daily job alerts to receive the latest new jobs straight to your mailbox. If the situation is urgent, look at jobs in some of the easiest sectors- like bar work, working in a coffee house or café, or as front of house staff for one of hundreds of venues. While these jobs all need slightly different skills and talents, getting them is usually the same. CV Tips: Make a short, to-the-point CV listing all your good talents, experience and interests- keep it brief, but pack with things you’ve done that would be relevant to the post. Find all our CV Tips. Research: Remember to do tons of research on the company you’re applying to- BEFORE the morning of the interview- and use that to ask a lot of questions, seem knowledgeable about the company itself, and make sure that this is definitely a place you want to be! Student Tips: If you’re a student you should have a look at our article on how to get a student job in London. Another difficulty is finding the right jobs for you, when there’s so much out there to wade through. Searching online: First thing you have to do is to search online. 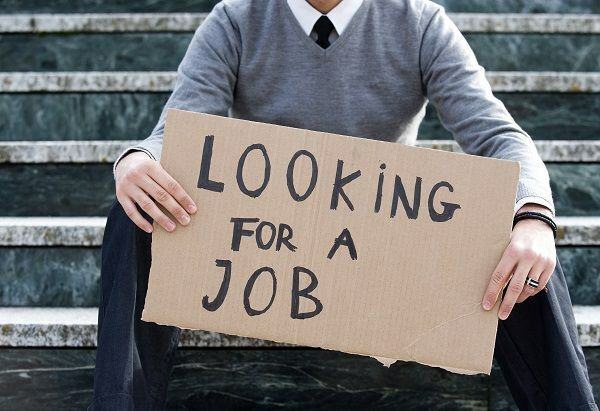 You can start by finding the right job board for you through our job hunting section. 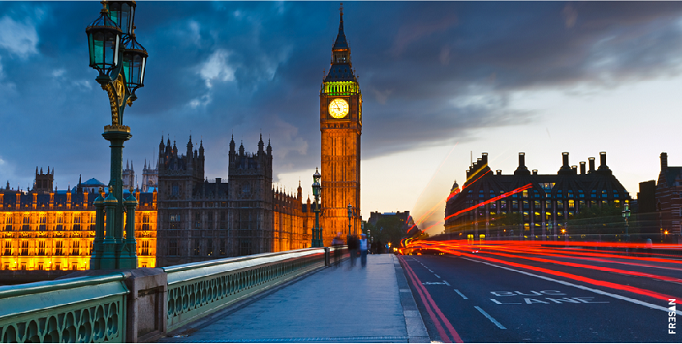 Also, check out our blog post on 5 easy to get jobs in London. Use your Local Newspapers: For those not too sure what they’re wanting to do, the local newspapers as well as the Evening Standard and the Metro have job listing in their newspapers and online, which you can browse for anything that catches your interest. Attending Career Fairs: Recruitment fairs are ideal for those shopping around for the right career for them, as these will give a taster of the kind of work you’d be doing, along with salaries, working hours, and prospects- check out the Guardian London Graduate Recruitment Fair, or the Autumn London Graduate Fair. Send off your CV to companies that don’t appear to be hiring: One of the best tips you’ll hear time and time again is not just to apply to jobs you see in the papers or online- send off your CV to companies that don’t appear to be hiring, but are perfect for you, or local places that might just be looking for a new member. It seems silly, or a waste of time- but the one time I tried it, I got a call for an interview about fifteen minutes later! Jobs Close to Where You Live: Try and find places within walking distance of where you live, so that you don’t need to use our transport tips up there that much! Walking to work will save you hundreds if not thousands of pounds a year, and you’ll be grateful if you get that awesome local job. You can find a great variety of jobs via Indeed Jobs. Click below to find more jobs. There are loads of ways to make money online for those who aren't looking for anything so permanent you can try going online to sell items with eBay, Gumtree or any other site out of the thousands around- with most of these sites, all that's needed is a simple registration and then you can start selling! Put your item on the site- with a picture and a good description, to attract the most buyers- choose the price, and start selling! This can be a fantastic way to get rid of clutter in your house, and make money out of old items you no longer use- better than throwing it out! Sign Up to Marketplaces for Creative & Professional Services: If you want more creative ways to make money, lease out your talents on Fiverr. These talents can be anything at all- writing, maths, pranks- which you can lend to strangers for roughly £5 a go- as long as these talents can be done quickly and well, you can make some decent money just through this! The internet has a huge range of weird and wonderful ways to make money, so it's always a great idea to figure out your best, most marketable talents, and start searching- if you're a good writer, look at sites like Elance and Guru which allow proofreaders to bid against one another to win contracts; if you're more a freelance web developer, create a website to show off your skills to potential employers, filling it with the sort of details and self-advertisement that will get you that first contract. Don't forget to go on sites like Peopleperhour, making sure that you price yourself well and advertise yourself perfectly- with an impressive enough portfolio, customers will soon come trickling in. Use Social Media: Just remember that advertising is everything- so give yourself an online profile with Twitter and Facebook accounts and maybe even a blog to show your work, advertise on several different sites, and network with as many people as you can to gain contacts in the industry you want to work in. More Tips: If you tried the above tips but you still need to make some extra cash then check out 15 more ways to make extra money. Finally, for really quick money, you can gain a small amount by filling in online surveys like Toluna, Mysurvey and Swagbucks, or signing up to review websites- by reviewing a couple of websites every day, or spending an hour filling in surveys, you can make enough money to get a snack when you need it, or save it all up to get that extra treat you've been wanting. While this isn't something you could make a career out of, it's quick and incredibly easy, and instead of wasting your time playing games or watching a film- or even during the film itself- you could be making money, penny by penny, for those hard-up days. Find more ways to make money here. For those who like to do a lot around London and the U.K, getting discount cards can save a lot of money. As with anything, they need to be used in order to pay for themselves, but with things like the 16-25 railcard, the Two Together railcard (if you often travel with a specific person) or the senior railcard (for those over 60) you can save a third off any ticket you buy, meaning you can get some big savings with regular use. All of them cost £30 and last one year, so just taking one trip to Lancashire or Cumbria already earns the money back- there’s really nothing to lose! Student Discounts: For those looking for discounts at university, Student cards like the NUS Extra card can save you around 10% on any one of hundreds of things at places like Amazon, Asos, Pizza Hut (where you can get 20% off the full menu price, students pay attention!) and the Co-op, for only £12 a month- so for those still at uni, it’s an opportunity not to be missed. Discount Cards: The Time Out card costs £24.50 and is still worth it for those who want to make the most out of London- with reviews suggesting it offers several unique deals to places which you couldn't get simply by doing a lot of digging for coupons anyway, it's a great choice for those who want to go out in London without spending a fortune doing it. Another thing that no-one can live without- or so it seems- phones are a big drain on your bank account. For those in a pinch, pay as you go is probably the best option, allowing you to limit the amount of calls and texts made and still save a pretty penny. For those that need to text a lot, getting a simple deal for £10 or so- to be paid when you can spare the money, not via direct debit- gives you unlimited texts and quite a few minutes for very little money. For those on a contract, there are ways to save some money on your phone bill- a lot of sites recommend waiting until your contract is roughly a month from expiry, and ringing up the company to haggle with them- if you can find a better deal elsewhere, let them know, and suggest leaving unless they can match it. Most companies will want to hold onto their regular customers, and if you can prove the better deal, they'll usually give you what you want. This can be a great way to get the best out of your company without moving back and forth between different providers whenever a better deal comes out. Find the best mobile phone contracts under £20. Find a Free English Course: there are loads of ways to start learning English for free! Some of the best English classes in London are Training 4TEFL, ISIS Greenwich and Experience London. Normally these are run by trainee teachers looking for some experience too, and are aimed at classes of varying skill levels- so whether you're a beginner or just looking for the more difficult lessons, there's something for everyone! Be sure to book ahead of time, however, since the classes are very popular and fill up quickly. Courses last between two weeks and three months, but either way you can learn something for nothing. Find an Online Course: If you're looking for English lessons online, a great start is Udemy. Udemy offers great online courses, ways to interact with tutors and other pupils, and lessons from beginner to advanced levels! The best part is that at the end you also get a certificate of completion! With the ability to cancel at any time, you can start off learning English for cheap or even for free, and see if one of these classes are right for you. There are also a number of fantastic sites which can help you learn at any time and wherever you go, by downloading the app to your phone- sites such as Duolingo and Livemocha give you hundreds of lessons in bite-size amounts, which can teach you little by little, whenever you're free to learn- either through small tutorials followed by tests, or by actually interacting with a tutor online in virtual classes. These can be fantastic for picking up languages, not only because they're fun but because you can spend time talking to native English speakers- always the best way to learn any language. Completely free and easy to get started on, it's definitely worth giving them a try if you want a little help learning English. Find a Tandem Partner: Speaking of talking to native English speakers, its good to find a language buddy so you can learn together- that way, not only do you have an English speaker near you, who can help with anything you're sure about, but you'll have a friend to talk to about the problems of learning a new language. Lots of universities have message boards filled with requests for language buddies, so it's a good idea to head to your nearest one- otherwise, check out Conversationexchange.com or Gumtree and post an ad! Speaking of universities, did you know it's possible to get cheap or free education online, even up to getting a real degree from an online university? While places like The Open University or the University of the People give the full uni experience- and a certified degree- all for a small price tag, there are a number of other institutions which will give you all the information you need to complete courses without charging a penny- Coursera and edX are both founded by leading educational experts, and give dozens of hours of course and video content to anyone willing to learn, all completely for free. It's free to register to a course (though will-power is required to finish it!) and at the end you'll get an unverified certificate completely for free- verified ones do cost a couple of quid, however. But for those with the will to finish their course, you could walk away with a certificate or degree for very little- these can even be done part-time, meaning you can support a family or keep working while doing them. For those looking for something a little less intense, sites like Udemy and the Open Academy offer quick, one-off lessons and videos on any range of subjects, from literature to quantum mechanics. While some courses can charge, most are completely free, and are very useful for getting a little more information on a subject you love, or discovering a whole new one. Once you've found that cheap or free accommodation in London, the next step is to furnish it- and there are a couple of great ways to get all your furniture free, or really cheaply- if you're not too fussy about state or condition, sites like Freecycle and Freegle offer pretty much anything you can think of, as long as you can come to collect it- this can include sofas, beds, lights and doors! Other than that, it's best to have a look to see if there are any online item swap forums for your area, or simply look in your local charity shops/car boot sales! Are all those months being broke taking their toll? Looking a bit less hipster and a bit more homeless? You don't have to spend £10-£20 whenever you need a trim- there are a couple of ways to get free haircuts in London! Take a look around at the salons and hairdressers near you: sometimes, they'll advertise free haircuts, done by trainees that need experience, which can only be a benefit to you! It's the same thing with training academies- places like the Toni and Guy Academy or Vidal Sassoon Academy are always looking for hair models to help their trainees get some experience, all for a very low price. Be aware that your haircut might not be as perfect as normal, and will take longer- they are only trainees, after all- but if you're looking to save pennies where you can then this is the best way to stay tidy and relatively presentable without breaking the bank doing it. If you're looking for some dental treatment in London but aren't already registered with a dentist, a great place to check out is the King's College London Dental Institute - make an appointment and you can go in for free dental work, as long as it's simple- if you're needing more complex crowns, implants or filling treatment, you're out of luck- which is done by trainee and new dentists to practice their skills. As with the hairdressers, these appointments will take a little longer than usual, but you get the advantage of new experimental practices which might do wonders for your teeth- and all for free! Living in London on a budget will never be easy- without thousands pouring into your account every month, even going out with friends can be a struggle. But by trimming out excess in every aspect of your life, it’s possible for anyone to save pounds and pennies every day, and be able to live a better, happier, and healthier life in the capital. Do you want more tips & tricks? Check out 13 more London hacks on how to bag yourself free transport, drinks and style advice in London. 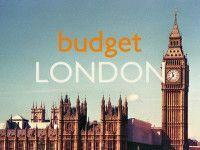 For more on living cheaply in London, check out 5 Budget Ideas for a First Date in London.